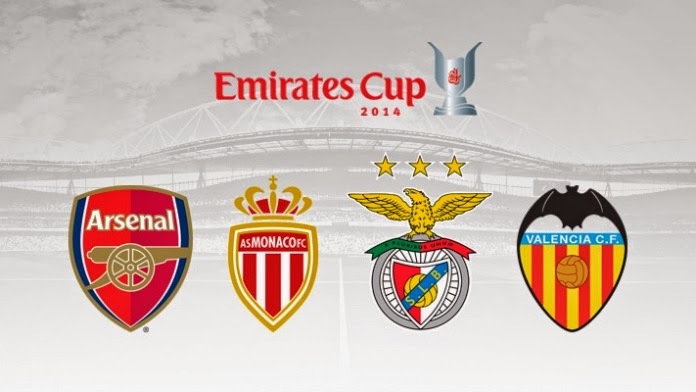 Emirates Cup kicks off this weekend in London, and Benfica is looking at this pre-season tournament as the final tune up before the first meaningful game is played. 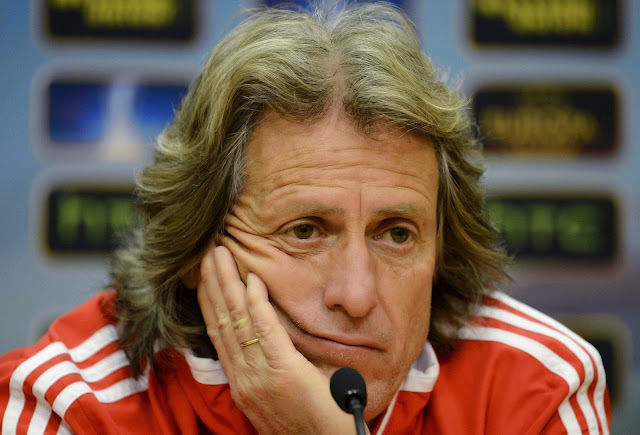 The 2014 Supertaça Cândido de Oliveira will be played on August 10th between Benfica and Rio Ave, so this weekend’s tournament in London will be key for Jorge Jesus to look at his roster and start to formulate who he will have in the starting lineup a week from now. Benfica will start the tournament on Saturday with a match against Arsenal FC, who is hosting the tournament, and then a second match on Sunday against Valencia CF which will be a chance for Benfica to measure forces against a team that currently has two of their former players in Rodrigo and Andre Gomes, as well as a coach that last year lost two finals to Jesus in Nuno Espirito Santo. These two matches will offer Benfica the two most difficult tests of this pre-season, and against two teams that will also offer them a very different variety of difficulties. Arsenal is a more established team that has picked up some interesting pieces this offseason, specifically Alexis Sanchez from Barcelona. This will be a closer match to what Benfica could expect this season in the Champions League and while it is pre-season, Arsenal will be looking at fine tuning their squad and will not be a much different side than the one that will start the Premier League season in a couple of weeks. The Valencia game will give Benfica a complete different set of circumstances and difficulties. Much like Benfica, Valencia is a team in search of a new identity under a new coach and owner. New players have been added but this pre-season has proved to be a difficult one and it will take them some time to be able to play the way the coach wants them to, and be successful doing it. Valencia is almost at the same stage as Benfica are, so this should be a more leveled game, and will allow both teams to work on some pre-season kinks. Jorge Jesus has mentioned that the team that will play in London this weekend will be closer to the lineup he will be using for the Supertaça, but somehow that does not offer me any guarantees of success at any of the games to be played. I am not looking at the Emirates Cup as two must win games, these are pre-season games and more important than the results are the way the team starts to observe the directions and philosophy of the coaching staff. I am not worried that Benfica has only had two wins this pre-season, that is almost irrelevant, what has me worried is how we have played and the way we have lost. Our defense is in shambles, and in large part due to injuries to key players like Luisao and the departures of Garay & Siqueira. Our midfield has many holes and question marks, Talisca and Teixeira have been the two bright spots on the team, but they alone won’t be enough to give us assurances for the season or even the first title game that we have on August 10th. Forward is also a weak spot for us this season, besides Lima, nobody else seems to be looking at taking charge and owning a spot in the starting eleven. So at this point in the pre-season, we have more questions than answers, and the team is not playing well. We can all look at last season and see that Benfica had a horrible pre-season and that spilled into the start of the league campaign. I am looking at a team that is setting itself up for much of the same this year, but a clear picture will be available to all of us this weekend. Emirates Cup comes at perhaps the best time of the pre-season, and will offer Benfica the two best opponents coaching staff could ask for. If you take the words of Jorge Jesus seriously and the lineup will be closer to his final lineup once August 10th roles around we will be able to get a preview of what Benfica can do in the Champions League when they face Arsenal, and a taste of what the Portuguese League can be when they face Valencia. The picture of what Benfica has as a team for this 2014-15 season will be much clear by the end of the weekend.